Symbols and terms, Wildflower and Tutankhamun mask. This is my version of Yoda. It's a relative simple model. The head and the body are two separate pieces of paper that need to be attached with a little glue (sorry...!). 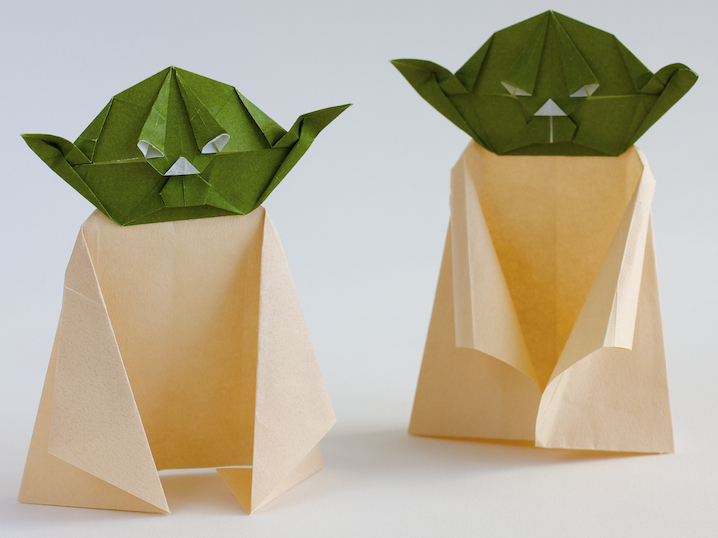 I rounded the the arms of the Yoda on the right to make it more 3D. You can find the diagram here. This time I uploaded the diagram in pdf format. Let me know if you like it. 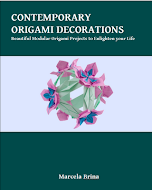 Welcome to my origami blog!. I'll be posting regularly about my designs, models that I folded from other designers, books that I like, and other origami-related topics. 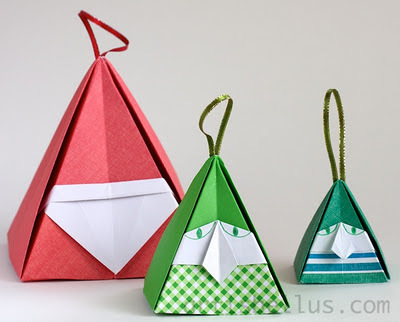 The Origami P's page has some tips and tricks for beginners. Why P's? 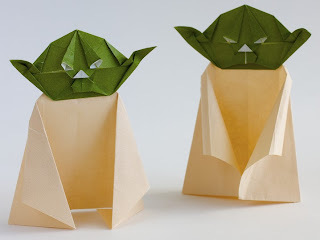 Well, I thought I could not get rid of "Paper" while talking about origami. Some P's are a little stretch but I thought it was funny. There's also a diagrams section, where I'll be adding diagrams periodically. This is my first attempt to do a website or a blog, so I would love to hear your comments. I hope you find this blog interesting and come back soon.